The shadow that passes over us all. Great stuff. I find myself wondering how it would help/hurt to crop on the left right up to the windows. A bringer of death. Nifty capture! this is very nice, looks like the shadow of a huge bird on the building. 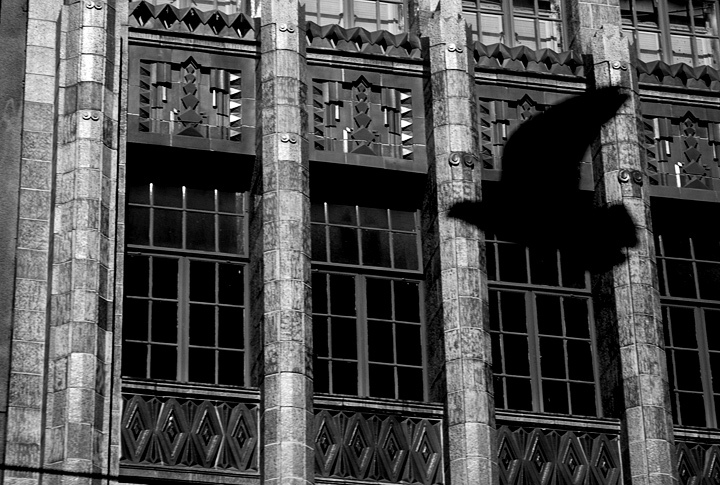 How gothic and noir. Love it. Oh yeah, baby, that's the ticket!!!! Proudly hosted by Sargasso Networks. Current Server Time: 04/18/2019 10:20:08 PM EDT.